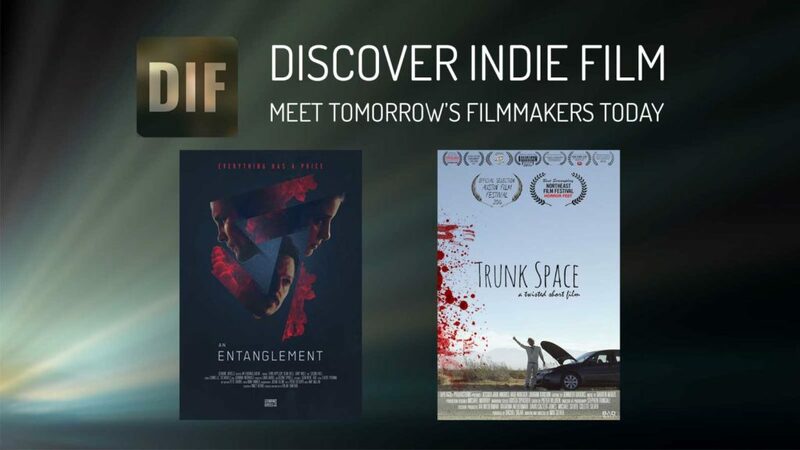 These two incredible short films launch the first episode of the Discover Indie Film TV Series. For a behind the scenes look at each film, you can listen to interviews with the filmmakers. TRUNK SPACE (13:37) Two girls pick up a mysterious hitchhiker in the desert. AN ENTANGLEMENT (14:56) A woman’s world comes crashing down when a stranger reveals he’s been hired to kill her. Click here to listen to an interview with Max Silver, the writer/director of Trunk Space. Click here to listen to an interview with Dylan Sanford, the director/producer of An Entanglement.